Paul J. Achtemeier is the former Herbert Worth and Annie H. Jackson Professor of Biblical Interpretation at Union Theological Seminary, Richmond, Virginia. He has served as the past president of both the Society of Biblical Literature and the Catholic Biblical Association. 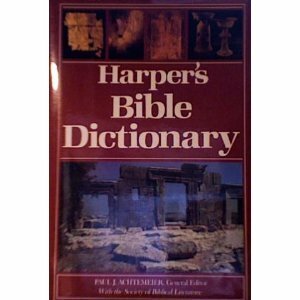 He has authored a number of books, including 1 Peter (Hermeneia), and is the general editor for the Harper Bible Dictionary.Elizabeth Achtemeier (1926-2002) was adjunct professor of Bible and homiletics at Union Theological Seminary in Virginia. She authored a number of books, including Nature, God, and Pulpit and Preaching from the Old Testament. She was an ordained minister of the Presbyterian Church (USA).